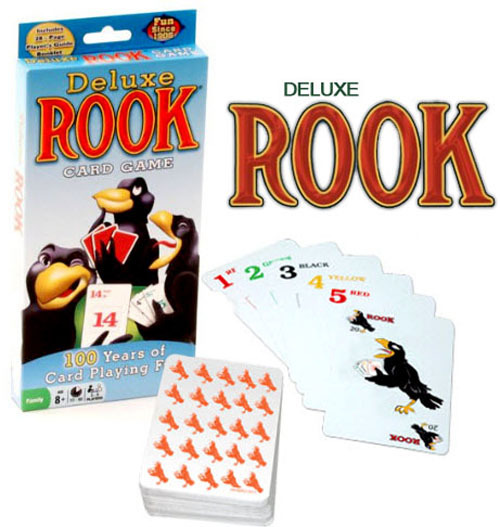 Deluxe Rook features a deck of 56 premium-quality, numerical ROOK cards (no face cards) and the unique Rook Bird Card. You'll find a complete analysis of these variations plus "winning tips" to improve your play. Rules for many other variations are included for: two, three, four, five or six players, plus special children's games.